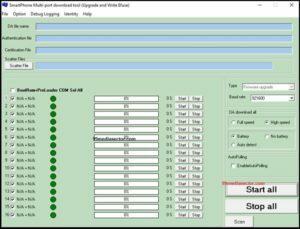 SP MultiPort Download Tool working process is here. 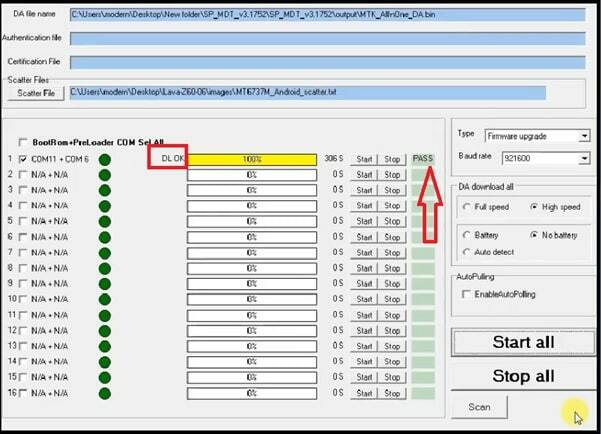 SP MultiPort Download Tool is another MTK flash tool to flash scatter based firmware like Sp flash tool. If you have enough knowledge about Sp flash tool then you may know that user can flash any MTK or MediTek android device with sp flash tool. But problem is that if your device’s chipset is based on latest MTK processor like MediaTek MT6761 then Sp flash tool can’t flash firmware in any how condition. In that case you have to use latest version of sp flash tool or Sp MultiPort download tool or Smartphone Multi port download tool. Flashing process is little bit change with Sp MultiPort download tool. 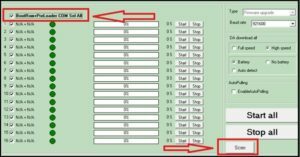 So if you are also trying to flash latest MTK chipset based firmware then use latest version of Sp MultiPort download tool. 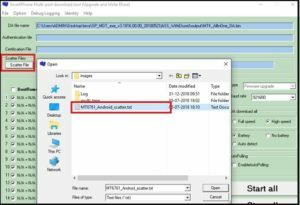 Follow the below instructions and flash firmware on MTK using Sp MultiPort download tool on windows pc. First off all download Firmware, Sp MultiPort download tool, drivers and checksum generator files in any one folder for easy navigation. Firmware / Stock Rom may be different for different devices. So download the correct and compatible firmware according your own device model name and number. Don’t try to flash unsupported file, otherwise it may brick the device permanently. Now install USB drivers on pc. Skip the step, if already installed. 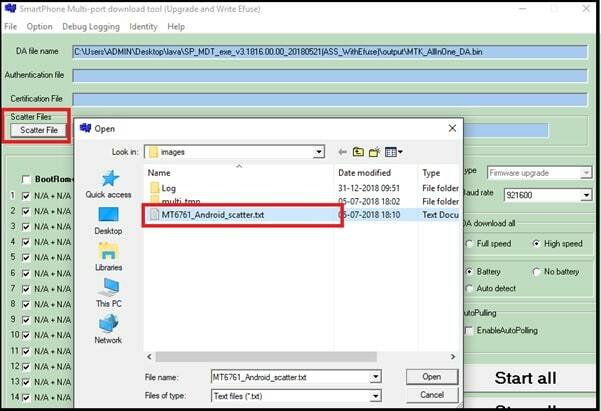 Extract the downloaded “Sp MultiPort download tool” zip file and enter into the tool’s folder. Now run “SPMultiPortFlashDownloadProject.exe” file as administrator. Once the tool launched, you will see the below interface of “Sp Multi port download tool”. Click on “File” option from the tool >> “open Download Agent File” and browse MTK_Allinone_DA.bin file from Sp Multiport download tool’s folder. Next, click on “Scatter File” button and load “Scatter loading.txt” file from firmware folder. Next, tick mark on “BootRom + Preloader Com Sel ALL” option then hit on “Scan” button to scan available port. 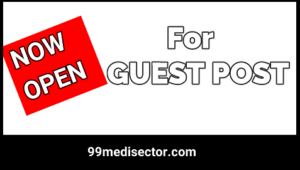 Come to the device, power off it first then press the boot key to create COM port with pc. Boot Key : Boot key may be different for different devices according the models. So do Google to know correct boot key of your own device or try the below keys combinations one by one. If the device is properly detected by pc, you will see the progress bar just same as shown in screenshot. Now untick “BootRom + Preloader Com Sel ALL” option and tick mark only the created port option as shown below. Finally hit on “Start All” button from the tool. It will start to check checksum file from firmware folder. Please Note: If it’s showing checksum error at this point, extract the downloaded checksum generator files into the firmware folder and run it for once. After checking the “Checksum file”, hit on “STAR All” button again and press the same boot key which you used in earlier step. 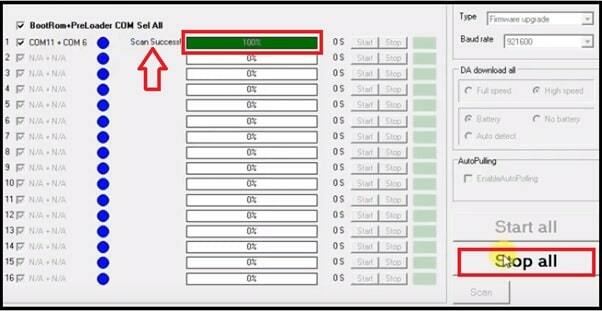 Tool will detect the device automatically and flashing will start. Note: Release all the boot keys once you see the FR option in progress bar. After completing the flashing process, if you are able to see “PASS” message, that means firmware flashed successfully. Click on “Stop All” button, unplug USB cable and reboot the device manually. Done!!! 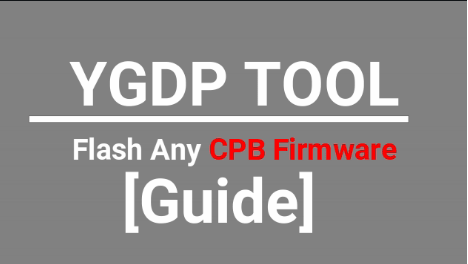 firmware flashed using SP multi port download tool. 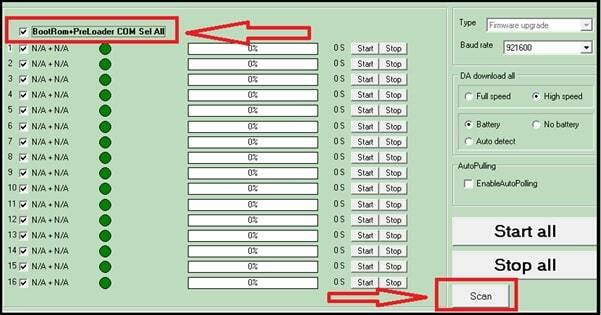 This is the complete step by step tutorial to flash firmware using SP Multiport download tool. Just download latest SP multiport download tool and follow the instructions as it is as shown above. 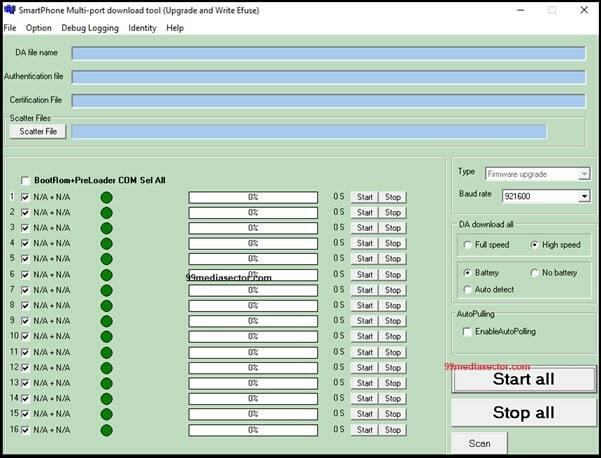 SP multiport download tool is the best alternative tool of Sp flash tool. Both tools supports all MTK android devices. Till now getting any issue to flash MTK using SP multiport download tool, please leave your comment below. This was great! Thank you! However I am experiencing an error I’m hoping you can help with. After checking the Cheksum file (which is so fast I barely see the pop up window) when I click “Start All” again and connect my device instead of “DL” before the progress bar I see “DA ERROR” and the circle turns red with a big FAIL in the green section. I can’t find anything online that can explain this error. I have the drivers installed. In fact I uninstalled and reinstalled everything when this happened the first time. 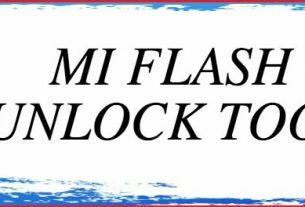 I am able to successfully flash my ROM onto other devices using the SP Flash Tool but I need to set up the Multi-port Flash Tool so I can flash more than one device at a time.